It's not been the best of times for Billy Mitchell, one of the most famous high score-chasers the gaming industry has ever known. Earlier this year, video game records organization Twin Galaxies stripped Mitchell of his high scores following allegations that he had used emulation to achieve them. Since then, Mitchell has talked at various gaming events and attempted to clear his name, with the most notable defence coming earlier this year at the 2018 Southern-Fried Gaming Expo in Atlanta, where he spent over an hour refuting the claims against him. I’m gonna do the exact [‘Donkey Kong’] score and just let the game die. 'You mean you’re not going to go higher even if you can?’ No. Why? Cause I’m Billy Mitchell. It would seem that the hot sauce entrepreneur is staying true to his word, as Isaiah 'TriForce' Johnson - he of the Nintendo Power Glove fame - has seen the Donkey Kong cabinet that Mitchell is using to perform this feat. Johnson has travelled from his home in Jamaica to the US to attend the annual International Video Game Hall of Fame which takes place this weekend in Iowa, and is attending the show alongside Mitchell. 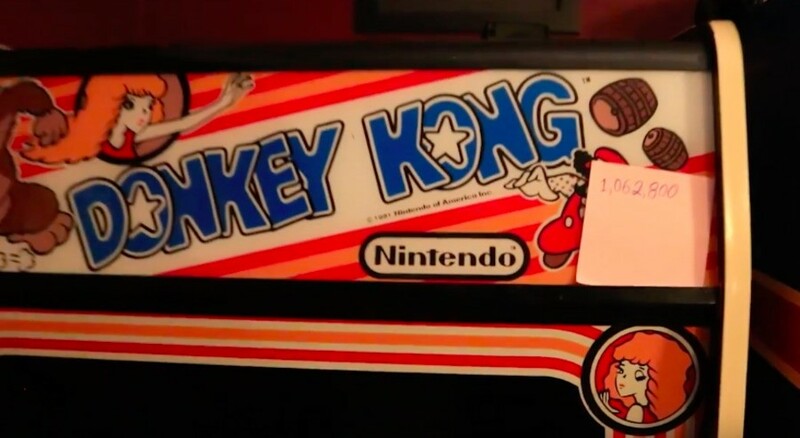 In the video above, Johnson investigates the Donkey Kong cabinet Mitchell is apparently using, which has a piece of paper with which says '1,062,800' - Mitchell's previous high score which was recorded on July 24th, 2010. 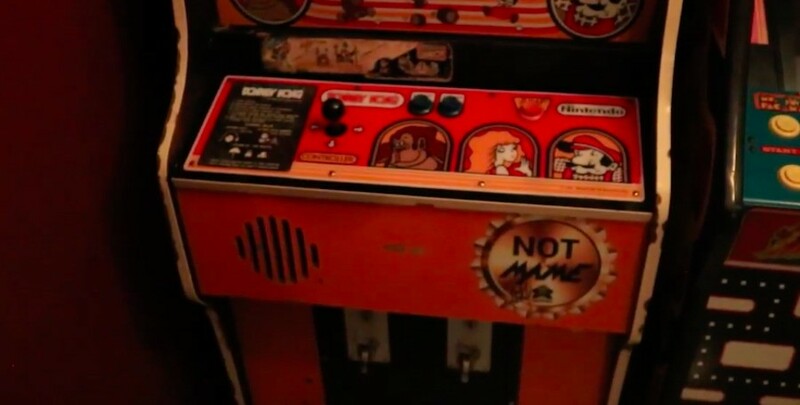 The cab also has a sticker which says 'Not MAME' on it. Mitchell himself does not appear in the video. As Johnson notes, Mitchell has been streaming his attempts on Twitch, and has already chalked up several million-point games. His most recent attempt took place in August at Tappers Arcade, where he managed 1,047,500 points. At the conclusion of the video, the cabinet's back is removed so that the original arcade board can be seen inside - Mitchell's clearly not taking any chances these days. Would any high score organisation accept a new entry by Mitchell? Twin Galaxies has already banned him from submitting any future scores, so perhaps he intends to match the score at a live event and walk away? Whatever Mitchell has planned, King of Kong 2 is practically writing itself at the moment. The NOT MAME sticker just takes the cake. Whatever, any record attempt he makes needs to be heavily scrutinized, as in have a referee confirm the cabinet he is playing on is authentic and not tampered with. Even if he manages to do it, it's kind of done for this guy right? Why does it really matter if it wasn't on the original hardware, if the software was emulated accurately. I'm asking legitimately. I don't know why this is a problem. There's no guarantee that the machine was not tampered with or that the game was operating in the same capacity as an authentic PCB. I believe there are YouTube videos that go into depth about this. @grenworthshero I agree, according to this article alone he seems quite capable of getting over a million so I'm not sure why it was even that big a deal. Furthermore they could have just had him reproduce the results on an authentic machine and been done with it. The issue here is really that people went on a petty witch hunt against someone clearly capable of reaching the highscore (and beating it too I'd guess) that it actually stops mattering whether it was emulation or not, because as we can see he's often getting ridiculously close to it. I don't particularly care whether he cheated or not, mostly because it doesn't really matter since he's not the world champ, and because we'll probably see an article about him matching the score or beating it in a short while. Then people will probably see what new dirt they can find, or refute the confirmed legit attempt because the previous one cannot be proven or disproven. If I was him, being right or not, I would attempt to break the record and shut all mouths. @krvstkvlt probably; it's likely he won't get back in to Twin Galaxies or anything else but if I were him, this is what I'd do. The guy has one trick, something he is legitimately good at and it has been taken away. He may always be known as "the mame guy" in formal circles but if he lets that be the end of his narrative then it's as if he never did anything honestly at all. This sounds perfect to me, if he can do it: just prove that he can honestly do it, walk away with head held high and don't try to walk back history any further. The fact that 8 years later, even with the attendant age-related degradation in reaction times, he can still repeatedly get close to his previous record, makes me think he's the real deal. It makes no difference. Whether he can achieve repeated million point scores well over a decade after the tapes in question is irrelevant, regardless of what the frankly deranged triforce wants to be the case. The score was not what caused him to be banned. 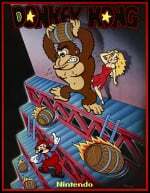 The fact - which still hasn't been anything he's been able to dispute with a single shred of evidence and hours of video that shows it - is that the gameplay footage COULD NOT have come from a legitimate arcade DK board. COULD NOT. And happened to display artifacts utterly unique to versions of MAME that existed precisely when the tapes were recorded. It was not recorded on an original DK arcade board. It was submitted and passed off as being from one. THAT is the problem. THAT is what he was banned for. And every moment of hours worth of tapes - shown and gone through live on a stream by Jace with no prior way of knowing what would be found - shows NO board transitions that are arcade. Only MAME. Billy is undoubtedly a great DK player - at least now, over a decade on. But he submitted non-arcade footage and passed it off as being genuine. He just did. It's undisputable. It's why his own tech, with the exact equipment claimed came to the same conclusions. And if you actually watch his `defense` at the panels, he repeatedly barrels (irony) over giving anyone a chance to ask questions while saying how much he wishes people would ask them. It's what he does. Blathers away. He also can't "reclaim" the score anyway. Not in a way that will be officially recognised by either TG or Guiness. Banned means banned. Hey, if he manages it then he has absolutely earned the right to have his score up there in lights. And, even if he did cheat on that particular score, there's no doubt he's the real deal in terms of simply being one of the gaming greats who legit earned a whole bunch of high score back in the day. No one can really take that away from him. So, I'm looking forward to seeing if he can get that score again, and hopefully the King of Kong 2 movie that follows it. He'll get Phil and Grant to help him out this time, they'll get the job done properly. So we have a video of one dodgy cat trying to validate another dodgy cat? Two wrongs don't make a right AFAIK. Triforce is a scammer chasing fast money pure and simple. If you have time to catch up on 'powergloves' antics..
Good to know he still has goals to strive towards. He's a jerk to his rivals, but amazingly nice to fans and the general public. In the Nintendo Power days he would just need to take a picture of thr screen, but after all the controversy, I'm loving his "not MAME" machine. No reason to be upset with this. No harm done. If he can prove his record who cares about Twin Galaxies? He brought it on himself at the expense of others who should have been credited for all that time. This is why by extension Steve Wiebe is now recognised as the first to 1M as officially as it gets. Billy can be the nicest guy in the world, and as talented as he clearly is - but he was banned for cheating and rode acclaim he didn't deserve for over a decade. Hell, he even took part in falsifying video of the board swap. Then passed it off as genuine. Knowingly. He claims footage isn't his, even though there is video of him standing in front of screens running that footage, that he provided. A great gamer, sure. A nice guy to the public, sure. Remotely trustworthy though? Hell no. "If he can prove his record who cares about Twin Galaxies?" Among others, clearly trifarce and Billy Mitchell. Whoever he... was. Don't care. This Billy Mitchell thing has to be one of the dullest stories in gaming. Billy Mitchell needs something new in his life. This is ridiculous. Why so much time spent on this guy? How many people actually care about this? It’s one guy’s high score; does it really need article after article after article chronicling Billy Mitchell’s trials and tribulations in getting his high score back? I really don’t think so. What is it about this 'story' that makes it persist? The guy seems like a joker. The game is pretty irrelevant to anyone born in the last 30 years or so. Why does it deserve attention? I just don't get it. You mean having a literal volcano share your name isn't enough? That's the first time I actually watched Billy Mitchell play. He's got some technique to make the full run, whether he's fudged some stuff in the past or not, so he's legit enough alright. I don't really care about the soap opera part, but if he comes to play on a full authentic DK cabinet and lays it down for the modern world to see, then nothing more should be said on the topic forthwith. I say good for him for wanting to show he can do it legit. I still really don't like him (never have) and I feel the ban should still stand, but I can respect him wanting to show that he does have the skill to pull it off. It always felt to me like he cared more about being on top than doing things right. Now the only thing he has to prove is his skill, and with how things went before he HAS to do it the right way. Not for glory, for respect. I like how I'll Be Your Mirror by The Velvet Underground is playing at the arcade, sweet! 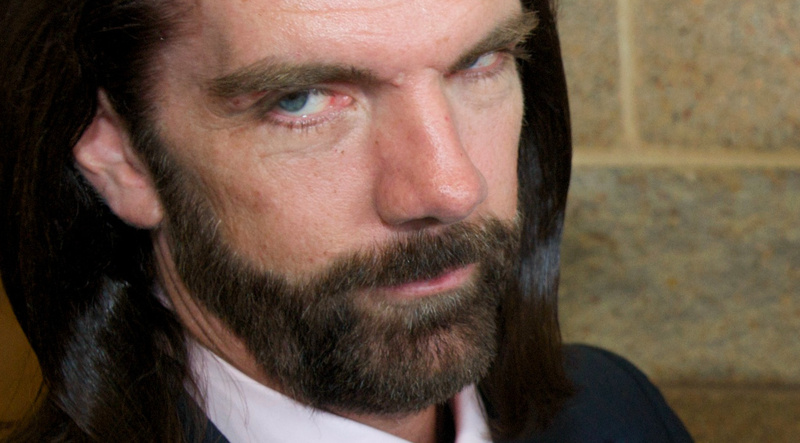 The matter has never been Billy Mitchell was never good. It’s that he felt the need the cheat despite being that good. Some poor quality journalism going on here. You call him "disgraced", right? Why? What did he actually do to be disgraced? He sent in his high score footage just like everyone else did and his score was rejected for the reasons of "belief". "Belief" is not really a good enough answer as far as I'm concerned. The fact of the matter is, if Twin Gal' don't trust the footage used then then T.G should have a problem bigger in itself, the rules and stipulations for footage need to be addressed to provide proof of a real machine and no tampering to of been done with it. Calling him a disgrace, or being disgraced for a dubious reason is one thing, but the real problem is the competition rules and criteria. This is not his fault or his problem. I really just don't get a good vibe about this guy. Just don't like him. I would love a King of Kong 2! That would make my week! Holy crap, now I want a "NOT Dolphin" sticker on my Wii. So the problem is that he used an emulator which doesn't play like the actual arcade 100% exactly or is it you can easily modify an emulator in your favor? An expired biscuit is an expired biscuit. It's always disgusting to eat. 43 here. Not sure why you think gaming news is only for the under 30’s. Remember, he didn't completely FAKE the previous score, he used an emulator when told not to, which could influence possible cheating. I expected him to be this stubborn about it, because i met him exactly 1 week before he was exposed. He is kinda rude. Remember to ask him to show the motherboard of the cabinet each run. In my eyes, this is not a redemption. 30 years, millions of dollars, all on one lie. Disgusting. There is somethng messed up about the guy and not in a good way.